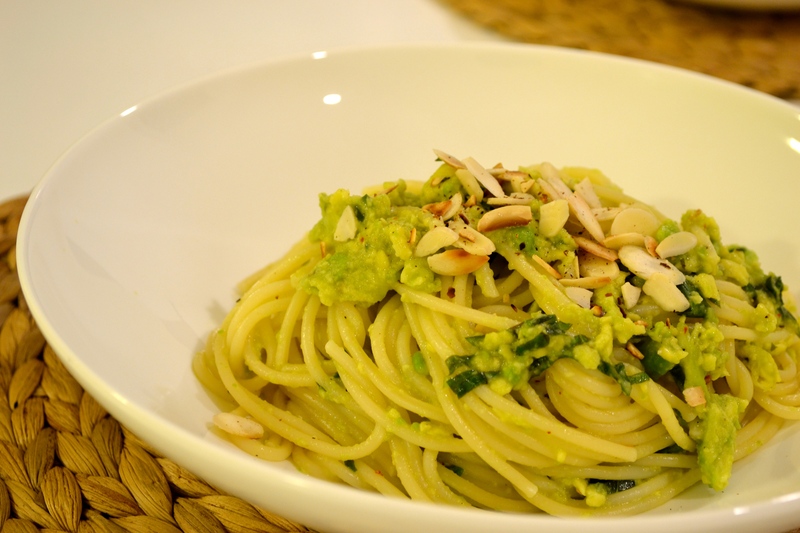 A super quick and easy recipe for today’s post: Avocado “Pesto” Pasta. First an apology for the photos. 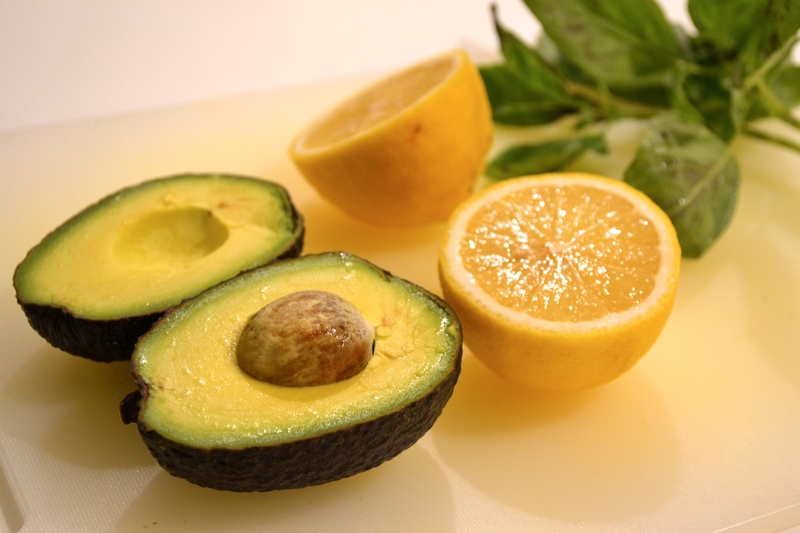 The ingredients below state that you need a very ripe avocado. When you use one, the “pesto” is deliciously creamy and wonderful. When you don’t – and I didn’t in my latest batch and obviously the only one I’d been organised enough to photograph! – the resulting texture is all wrong. The taste is there but slightly lumpy avocado isn’t really what we’re after in this. So hopefully your finished dish will look a lot more beautiful that this one! But putting aside my poor avocado choice, this dish is perfect mid-week post work fare taking no time at all to put together. All that needs doing is a little garlic crushing, basil chopping, parmesan grating, avocado mashing and some mixing and voila! your pesto is done. All in about the time it takes to cook the pasta itself. As long as you make your pesto just before serving, the dish is a wonderfully vivid green colour with a fresh delicious taste. Perfect as the weather turns from winter to spring. The term pesto is probably a little misleading but the basil and parmesan gives it a pesto-y hint though I have swapped the traditional pine nuts for flaked almonds which work really well here. Though I should probably own up that the reason I’ve swapped the pine nuts is that it turns out I’m allergic to pine nuts in Asia…or more specifically to Chinese pine nuts. Yes, ridiculous. I discovered this after tucking into a salad containing some of the dastardly critters when I first moved to Singapore. The next day I developed a horrible bitter taste in my mouth whenever I ate or drank anything which, it must be said, is the best way to stop you eating. So if you’re looking to go on a diet, I can highly recommend eating some Chinese pine nuts. After a bit of research to check I wasn’t dying (being married to a Greek has turned me into a hypochondriac!) I found an article in the Telegraph (so it must be true) all about Pine Nut Syndrome which says cheap Chinese pine nuts leave some people with a bitter taste in their mouth for up to a month (mine lasted for a week – quite long enough!). It also says that the pine nuts causing this (a different variety to the usual ones we get in the supermarket) are “unfit for human consumption”…oh dear. So needless to say I have given pine nuts a pretty wide berth since just in case. Anyway, that was a very long-winded way of saying please use pine nuts instead of almonds if you so desire! 1. Cook the pasta according to the packet instructions. 2. While the pasta is cooking, halve the avocado, remove the stone and scoop out the inside into a bowl. Mash thoroughly using a fork before stirring through the lemon juice, garlic, parmesan, basil, chilli flakes, a pinch of salt and a good grind of black pepper*. This can’t be made more than about 15 minutes before you serve as the avocado will go brown. 3. Reserve 3 tablespoons of the pasta cooking water before draining. Return the pasta to the saucepan together with the 3 tablespoons cooking water and your avocado pesto. Mix well. 4. Divide between 2 bowls and serve immediately topped with a sprinkling of toasted almonds. 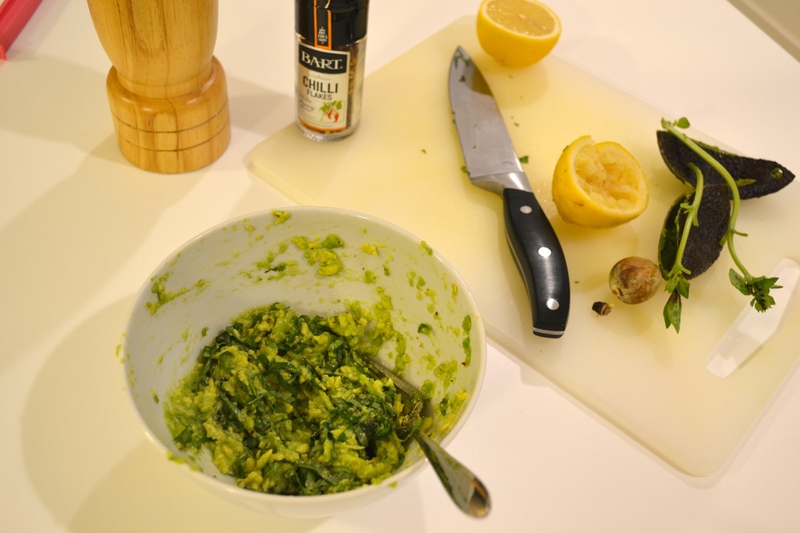 * You could whizz everything up in a food processor to get a smoother pesto if you prefer.